Mary has always dreamt of her own restaurant. And after graduating from the Culinary Academy, she can at last realize her dream. Join Mary on the most exciting adventure of her life. Seat and serve a variety of customers, prepare a full menu of delicious choices, and expand Mary's business to places you'd never imagine. 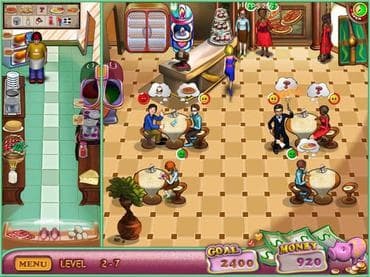 Download free full version game today, assist the young restaurant keeper in her undertaking and help Mary make her kitchen a successful one! If you have questions about Lovely Kitchen game, please contact us using this form.